The 2015 Jeep Compass continues to be a great compact SUV option for those who love the Jeep capability yet want a smaller, more car-like driveability and appearance. New features for 2015 include a High Altitude Package which includes a power sunroof, 17-inch bright-finish aluminum wheels, leather upholstery and a power driver's seat. 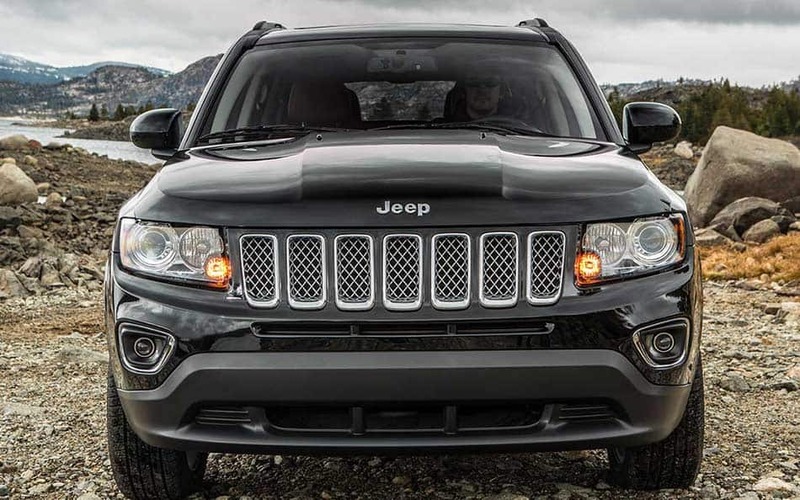 In addition, the High Altitude Package also offers a great, black gloss finish around the iconic Jeep grille. The Jeep Compass offers multiple power and engine options under the hood. The Compass comes standard 158-horsepower, 2.0-liter four-cylinder engine, or an available 172-horsepower, 2.4-liter four-cylinder. Jeep Compass buyers also have the option of either front-wheel-drive, or two different four-wheel-drive options. Finally, there are three transmissions available; the standard five-speed manual, or available six-speed automatic transmissions or continuously variable automatic transmission. The Jeep Compass also offers great off-road capability with the Jeep Freedom Drive system, which offers multiple features like 17-inch all-terrain tires and aluminum wheels, a full-size spare tire, a one-inch raised ride height, fog lamps, skid plates, and manual seat height adjuster. The capability of the Compass is endless, and also offers 2,000 pounds of towing capacity. The Compass offers interior luxury and elegance, and on the outside capability for your biggest adventures. Exterior features include fog lights, roof rails, heated side mirrors and your choice of three different size wheels. In addition, the Compass offers an available power sunroof. The interior offers tons of comfort for up to five seats. Standard features include illuminated cupholders, tilt steering wheel, 60/40-split folding backseat, CD stereo with MP3 jack, and cruise control. Available features include heated front seats, Boston Acoustics premium speakers, an available stereo with music storage and hard drive, and leather upholstery. The Compass comes with great safety and security features, and standard options include side curtain airbags, front airbags, front-seat side-impact airbags, electronic stability system and anti-lock brakes. 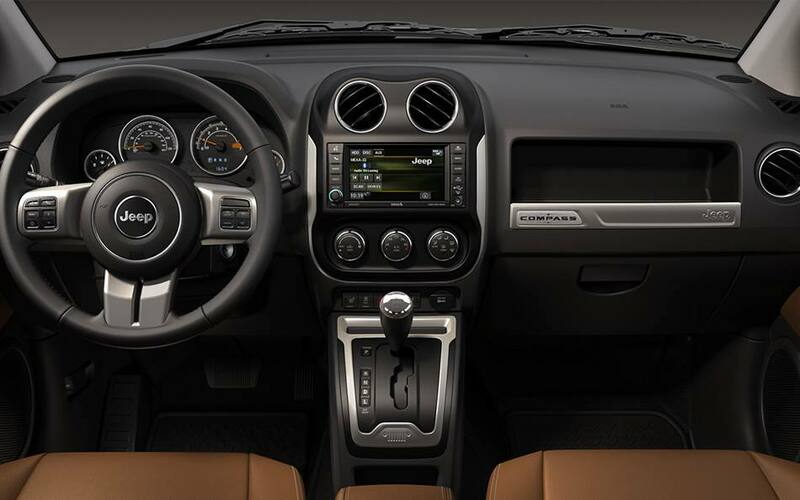 The Compass also offers an available backup camera, a well as occupant sensing airbags, brake assist and even more. Have any questions about the 2015 Jeep Compass? Feel free to give us a call, or fill out the form below and we will be in touch!